The training-workshop on “Cross Platform Mobile App Development” took place from 20 to 23 November 2017 at the Department of Computer Science (Post Graduate Center), Poona College in Association with ATS Learning Solution, New Delhi and approximate 47 students from Computer Science faculty have enrol for the Workshop and Google certification exams. 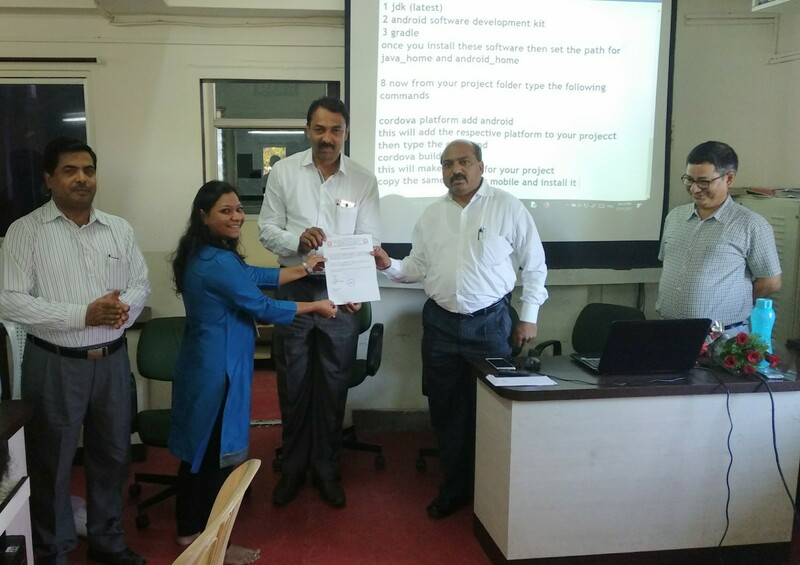 Poona College has signed MOU with ATS InfoTech Pvt. 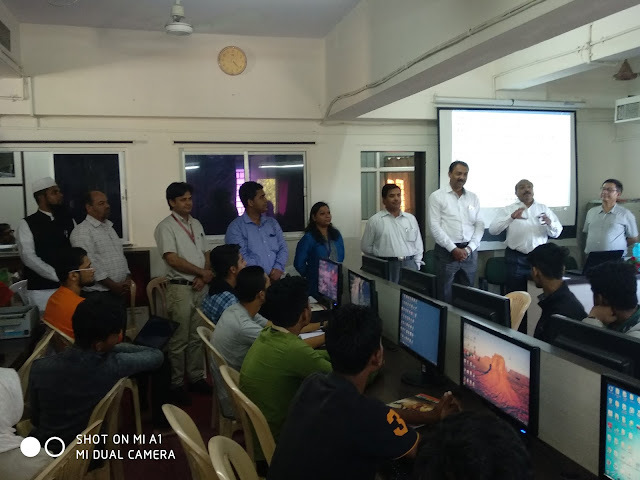 Ltd. / Knowledge Solutions India, A Microsoft – AEP (Authorized Education Partner) having its registered office at L-107, Lajpat Nagar- II, and New Delhi-110024. 4. Project Completion letter, after successful completion of the project. And Best project will be uploaded in google play store. After successful conduction of 4 days’ Workshop at the last day the valedictory session has arranged and College authorities Dr. Aftab Anwar Shaikh, Principal and Vice Principal-Science Faculty have been invited and they have appreciated the effort taken by Head of Department of Computer Science Mr. Mahtab Alam and the entire team of department for smooth conduction of 4 days’ workshop. 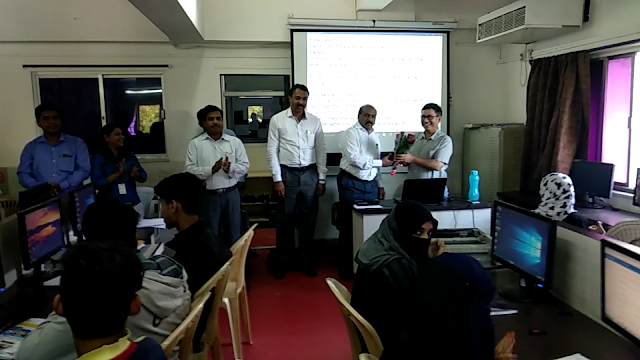 In the valedictory session, Principal Dr. Aftab Anwar Shaikh felicitated to Mr. Suresh, Trainer of the workshop & Mrs. Amrita Karambelkar, Sr. Program Coordinator, ATS Learning Solutions & vice Principal Mr. Iqbal Shaikh felicitated to Mr. Rajkumar Business Development Manager, ATS Learning Solutions. 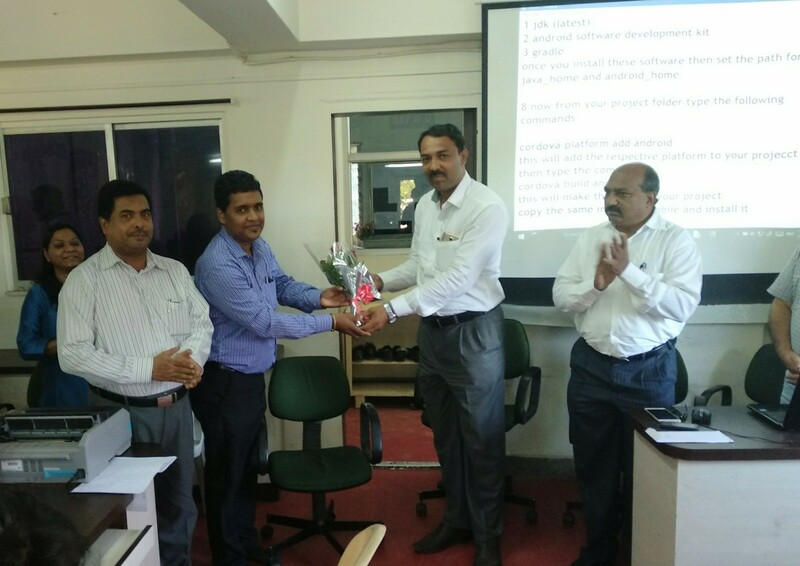 Vice Principal Mr. Iqbal Shaikh felicitating to Mr. Rajkumar, Business Development Manager of ATS Learning Solutions. 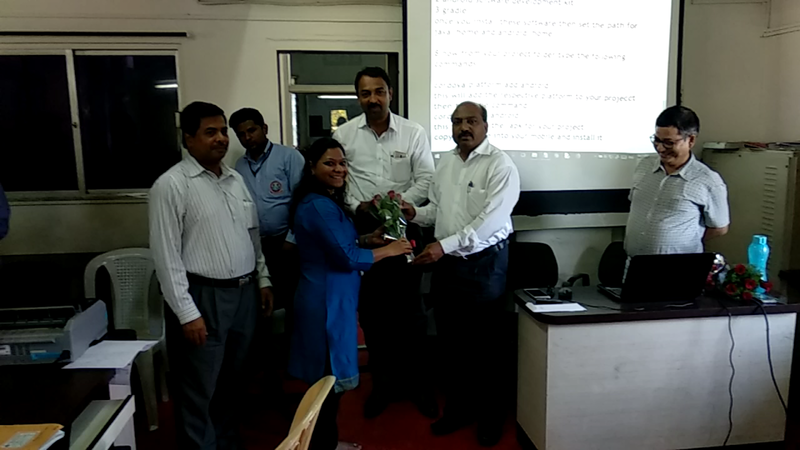 During valedictory session, Principal Dr. Aftab Anwar Shaikh and Vice Principal Mr. Iqbal Shaikh issued the Letter of Appreciation to Mrs. Amrita Karambelkar, Sr. 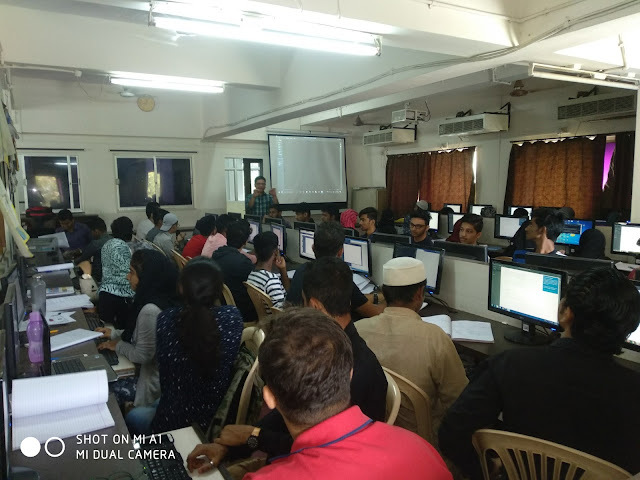 Program Coordinator, ATS Learning Solutions for their continuous efforts towards the training and certification program at Poona College. 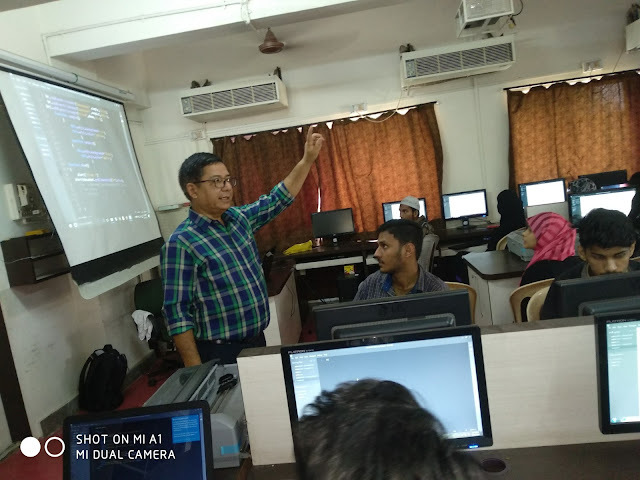 Principal Dr. Aftab Anwar Shaikh spoken about the importance about Mobile App development and discussed today’s requirement of Mobile App developer in the industry and also announced that he will give cash prize to the winner of best mobile App developer among the group.